Fight Back Against Crime (FBAC) Virginia Highland: Stolen Mail? Here's What You Need to Do. Stolen Mail? Here's What You Need to Do. Have you ever put outgoing mail in your box for pick-up only to find later that it was stolen? Or learned that delivered mail was swiped? While such offenses may seem minor, tampering with mail is a federal crime and carries serious charges. In addition, the theft of mail can leave you open to identity theft. If you find yourself in this situation, first call 911 and make a report. When talking with police, ask if they will notify post office inspectors of the incident. If not, go to this link for information on how to file your own report. The next step is to protect your identity. If you know that credit card or banking information was stolen, immediately contact those institutions and cancel or freeze your accounts. You will also want to notify the three credit reporting firms to freeze your accounts. The credit card company or bank may offer to do this for you. If not check out Clark Howard's Identity Theft Guide for information and guidance on how to proceed. 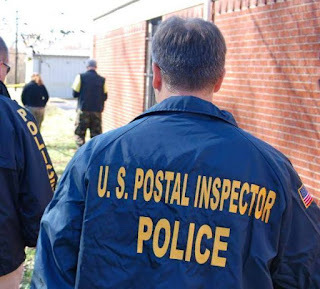 Here are some additional tips for the United States Postal Inspection Service.